Soon after I moved to London in 1999 to work in the web industry, my friend Jim urged me to read this book, How Buildings Learn by Stewart Brand. Brand’s an interesting character. After some time in the army, in the ’60s he studied design, and became involved with the Merry Pranksters’ infamous ‘Acid Tests’. During the ’70s he produced the Whole Earth Catalog, the counter-culture’s DIY Bible, and in the ’80s he was instrumental in the seminal WELL online community’s development. 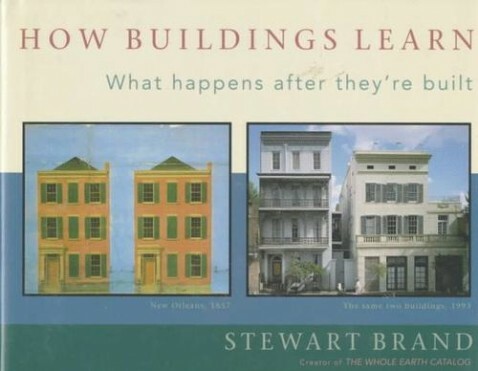 How Buildings Learn is subtitled ‘What happens after they’re built’. It’s basically a critique of architecture as an imposition, and a championing of the needs of the occupants of buildings. Brand points out that most architecture competitions are judged on photographs of the buildings on the day of completion. But visit the stunning, award-winning structure a year later, and it’s not unusual to find leaking roofs and unhappy people. Visit it decades later, and it may be severely dysfunctional, hampered forever by the image- rather than time-oriented stamp of the architect’s ego. Brand champions design that accommodates change, making space for people to change things through use. Adaptation. Responsiveness, you might say. Recently I built my first responsive website. The project had a really tight deadline, so I didn’t have much time to experiment. I did some research and I think I hit upon some crucial tips that saved me a lot of hassle. I thought I’d document what I’ve learned from this first foray into adapting for mobile devices, and perhaps save someone else some time. Inspired by this post, I’ve recently incorporated into my starter theme a method to defer the loading of certain images. This can drastically improve page loading speed for mobile devices on slow connections. The device won’t have to wait until all the images are loaded before rendering the page.